For Purdue University as an institution to strive for preeminence, individual components of our organization must reach out for preeminence and leadership within their own respective areas. The Purdue University Cooperative Education Program has taken on that challenge, and we strive to be a national leader in supplying traditional work-integrated learning experiences for students within their chosen undergraduate curriculums. In working toward this goal, our faculty has recently chosen to supplement our well-established traditional Co-Op program with a variety of work schedules. Our objective is to match varying individual student needs with varying practical learning opportunities. Some of these new programs are based on traditional Co-Op experiences, and some are internships. As an indication of our new, broader acceptance of all types of work-integrated learning, the university administration has changed the program's name to the "Office of Professional Practice" (OPP). The mission of the Professional Practice Program shall be to facilitate the experiential practical education of Purdue University students within the traditional learning component of the institution's strategic triad and further academic research within the field of Professional Practice. We will do this by assisting the traditional academic units with engagement through enhanced contact with employer host organizations. As the country is faced with these very uncertain economic times, we are prepared to embark on a mission that will enable us to provide our students with meaningful experiences that will prepare them to be leaders in this ever-changing world. A critical component for our success at this juncture is the need to identify resources to help us solidify our plan and launch new programs to meet the needs of a global economy. The giving opportunities listed below are cornerstone gifts essential to advancing the Professional Practice Programs. While we feel it is important to share these funding priorities with you, please understand that each and every contribution is vital to sustaining this very important area. We greatly appreciate your support! Financial support from individuals, foundations, and corporations provides the margin of excellence that distinguishes great institutions from good ones. Nothing better exemplifies this level of excellence than a gift that would name the PPP Program and provide sustainable funding to ensure this excellence will continue. Naming the PPP Program will create an opportunity to invest in the future and provide financial resources, in perpetuity, for exceptional students. This type of commitment brings incredible distinction and prestige to the program and allows for transformational growth and opportunity. We believe that at the heart of every great institution of higher learning is top-notch instruction by exceptional leaders. Over its long history, Purdue University has been fortunate to boast several prime examples of this philosophy. Purdue has been blessed with outstanding leaders who have been shaping students' lives and careers for more than 130 years. An endowed directorship will help attract, retain, and reward the very best faculty member and leader. With increased funding, our programs and centers will be empowered to extend the impact of learning, discovery, and engagement to a global community. The funding from this directorship will allow the Professional Practice Program to significantly grow our domestic and international co-op programs by hiring a recruiting assistant, who will help the recruiting manager with employer and student recruitment. In the spring of 2009, OPP served 591 students from 20 disciplines, and worked with 152 employers. 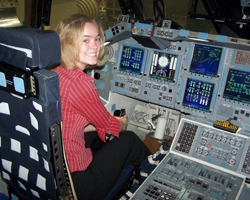 During the summer of 2009, 47 students worked and studied overseas with the Global Engineering Alliance for Research and Education (GEARE) program, the International Association for the Exchange of Students for Technical Experience (IAESTE), or other global internships. 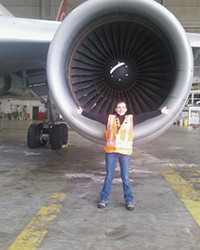 We believe it is our responsibility to provide students with global opportunities that will ensure they are prepared to be part of a global workforce and leadership opportunities that will enable them to excel as engineers of the 21st Century. This fund will allow us to make such opportunities available to engineering students participating in global work sessions such as GEARE or G-PAL (Global Partners in Apprenticeship Learning). 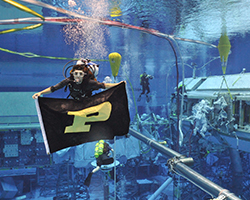 Both the award-winning GEARE and the brand-new G-PAL programs are unique to Purdue and have received significant recognition for their innovative methods by combining cultural and engineering education aspects. The Professional Practice Program Suite is strategically located in the A.A. Potter Engineering Center on the main engineering campus. To better serve the needs of our students and to facilitate the program's growth, we have renovated this space to ensure we are building relationships with students and industrial partners in an environment that is conducive to developing partnerships and trust. Our staff is co-located so that we can accommodate the needs of our students and corporate partners while fostering an environment that encourages brainstorming and strategic planning for new and exciting programs. This area will serve as the focal point for the Professional Practice Program's leadership activities. Located right next to the Professional Practice Program Suite in the A.A. Potter Engineering Center is the A.A. Potter Engineering Center Lobby. This lobby is in need of renovation as the current design is more than 30 years old. A conceptual design has been prepared and includes an interactive TV showing Professional Practice activities, opportunities and information about Co-Op employers, new furniture that provides a "cyber cafe" atmosphere, and the new concept of the Co-Op Hall of Fame. As a way of recognizing and celebrating past participants for attaining a standard of excellence in industry, academia, governmental service, or other endeavors in their profession as exemplified by their leadership and accomplishments, the Co-op Hall of Fame will be maintained by the Professional Practice Program. 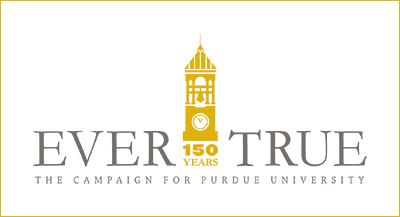 The Hall of Fames objective is to showcase the contributions of inductees, sharing their individual stories in a forum that promises to weave a fabric that will fortify the storied history of Cooperative Education at Purdue University. Purdue University faculty or staff members serving in positions directly related to the Cooperative Education program will also be eligible for induction. To be considered, nominees must have demonstrated excellence as exemplified by their outstanding job performance.